Greetings!!! Friday is a day for a new movie to me. I am so thankful that every week I can watch a new interesting movie in a cinema. Last Friday I watched a perfect horror movie, and of course, as always, I write a new movie review for Bitlanders. And this time, it is movie HEREDITARY review - the most horrific movie this year. The producer film studio A24 during six years of its existence, gave us such memorable films as the science fiction genre Ex Machina, a unique and endlessly crunching story The Witch, a strong gangster drama A Most Violent Year a tense thriller Locke and the Oscar worth tapes Lady Bird, Moonlight, and The Florida Project. Now they decided to go back to the horror genre that was very successful for them. This time the studio noticed the very new but very promising filmmaker director Ari Aster. According to his script, the new movie should become one of the most horrific and frightening movies of all time. This movie had to not only stick the viewer to the chair but also cause horror as it did five decades ago the William Friedkin with his gorgeous and unforgettable Exorcist. The A24 production studio has already made an agreement with Ali Aster to create another film, which will be launched this summer. It will also be the movie of the same genre about death and strange happenings. The action will take place in the far-away city of Sweden, marked by special traditions of the Midsommer. But, this time, we talk about the movie HEREDITARY. The film tells a story of a single family. At the old age, Elena, the dominant mother of the Graham family, dies. Her daughter Annie cannot find peace after the death of her mother. She has a sick daughter Charles, who needs care, and the teenage son Peter, who gets into trouble time from time. One day, Peter, without any bad intentions, did something that turns his family upside down. The Annie (actress Toni Colette) - a husband and two children - in strange circumstances, reveals more and more fearful secretive details of family history. 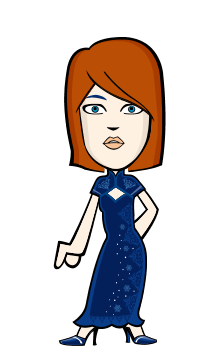 Without being able to get along with this, Annie begins to do misunderstandings that can negatively affect each member of her family. In the face of new, blood-stinging discoveries, Annie is disturbed and frightened but trying to maintain a healthy mind and save her family. But the curse that goes on from ages will not make it so easy for her family. Movies, such as the debut of the director Ari Aster in a full-length cinema project, is a real rarity in the broad, and already somewhat boring horror movies. The movies of this genre are able to surprise from time to time, but it often repeats what has already been created. Of course, this is not bad because the cinema does not stand on the spot, and the themes for new projects, especially when it is about such a niche genre like this, are not so numerous. So many cinema makers try to improvise and create something that has already been told, but somewhat different in shape. And it sometimes catches the attention of auditoria. Personally, I do not care about the theme used in the movie. More important is how it is presented. However, to create an intimidating and truly causing tension atmosphere is not a simple work as it may seem at first glance. Some filmmakers think that if the horror elements or unexpected monsters are inserted every five minutes on the screen, the spectator will feel a horror. This year, in the horror genre, I was surprised by a movie by John Krasinski A QUIET PLACE, where there was not heard any extraneous noise in order to create an impeccable atmosphere of horror in the cinema. Undoubtedly, this is a unique and diligent work that has given me incredible enjoyment in the cinema. However, it was also a project where we saw non-existent beings, and therefore naturalism was superficial in it. And sometimes I want just a pure horror that would be presented in the home routine. 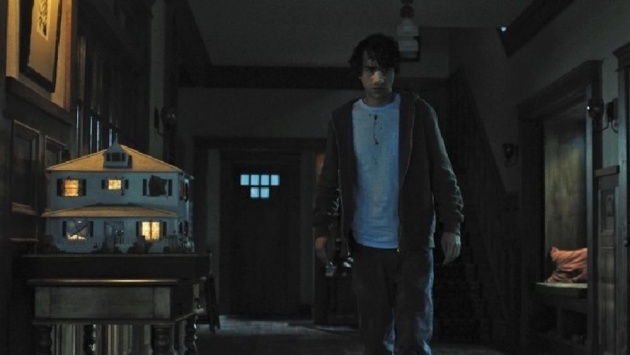 The HEREDITARY became such movie, whose realism is able to scare more than any ghosts or monsters appearing at the nights. I cannot tell much about this movie, because even the anons did not show the essential moment of the tape, changing the direction of narration to the one that became the greatest test of our nerves. So I'll briefly mention the positive accents that dominated this film. In the movie, I have not seen any bad scene, which would make the rating down. The band consists of three important parts that affect our subconsciousness as if we were participants in this story. And everything due to the fact that slowly generated tensions become the most important tool in this really scary and not a typical movie of the horror genre. In the first part, the family is introduced to the viewer, whose life tragedy we watch for two good hours. This section contains a carefully-presented a psychological portrait of the mother, which gradually changes, and finally, we see a completely different character than she was at the beginning of the film. Her metamorphosis is spurred by the event, shaking the family and turning the film preview upside down. As you can already understand, this is a movie about the family and the difficulties that can visit the each of us. In the second part, more attention is paid to the son Peter, which is the cause (if one can name so what he did) of the things that become to happen with his mother and her visible world. And this, believe me, is very frightening. All the scenes that appeared in the middle of the movie are really shocking. And it does not strike at all because of the elements of horror, but because of the psychological tension that naturally manages to cause various emotions, and you do not even notice how your heart starts to beat ever stronger and stronger. But when we start feeling it, we need to get very well into the movie itself, not to eat popcorn and not start pulling out the phones of the pockets, because someone wrote you a message. The third and final chord of the tape reveals the whole truth about what is happening before, and what the whole purpose of what Annie did. I am talking abstract because otherwise, I could reveal a motive that has become the epicenter of the disaster of the whole family. I did not expect that director Ari Aster will make such ending for the film. It's gorgeous and frightening, though, on the other hand, I already watched two older films which presented something like that. I can not mention them, because otherwise, it will be clear what I am talking about here. In the film, as I have already mentioned, there is no shortage of tension and well-intentioned intrigue that feeds the viewers observing the events of the storyline. But I cannot say that this movie scares so hard that you do not want to turn off the lights when coming home. Yet every person perceives the horror differently. The biggest challenge for me was the psychological tension that was spread by the main hero of the movie. Watching her and her performances, I wanted to cover my eyes and ears. It really scares. Of course, it was also very funny that the movie almost did not find the place for horror elements, which are often used to hide all the holes in the plot line. Such a director's decision was an adequate act, focusing on other details. Summing up this vision, because I do not think it's possible to say anything more about history without giving out its basic secrets, I want to say that this film is for real cinema gourmets and the loyal fans of the horror movies who will be able to appreciate a completely different manifestation of horror in the movies that we were used to. The tape is full of surprises and unexpected storylines that are manipulated by the main characters of the film, while at the same time they able to create a horrible and worthy of attention performance. Such low-budget movies do not require majestic effects since their purpose is not to visually intimidate the viewer but through other technical components to cause a panic. And one of such parts is the perfect music, creating very good atmosphere, that makes the film take a completely different shade. In addition, music becomes an important tool for creating a tense atmosphere. The sound editing also takes part in it, which is reinforced in the places that demanded our greatest attention. The film has a few special effects, a beautiful look, and great scenery. However, these elements would be completely overlooked if not an invisible work of the operator Pawel Pogorzelski. The operator from the wide range of angles was able to capture an eye-catching image that conveyed the personal tragedy of each hero. The video montage was also admirable. The story is solid, fun, and has a lot of elements that eventually merge at one end as if it were a mosaic that uncovers the whole essence of this story. And, of course, the film does not look too long, although its duration is not really such a typical for contemporary horror genre projects. Movie's main casts: Annie Graham (Toni Collette), an artist whose mother dies at the beginning of the film, her husband Steve (Gabriel Byrne), their son Peter (Alex Wolf) and daughter Charlie (Milly Shapiro). 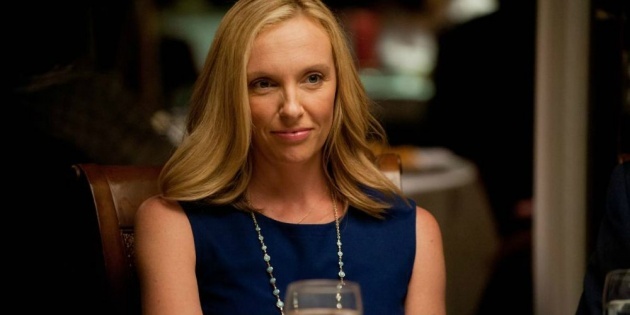 This film is not only an exciting and well-written story but also a performer of the main female role, Toni Collette created a performance that overshadowed all her previous performances in cinema and television. Watching her, you not only trust each word she spells but also feel her fear that spreads her character. I think that for such an impeccable work, we should see her next year at the US Academy of Motion Picture Arts and Sciences awards among the titles of the best actress. The actors of the second plan also performed no less well. 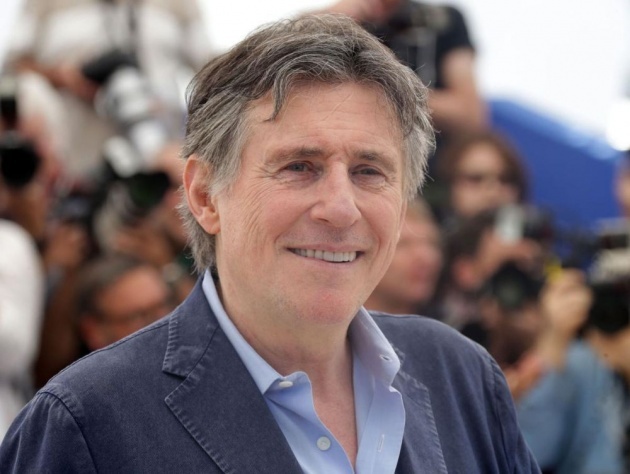 First of all, I was glad due to the long-awaited cinematic actor Gabriel Byrne, performer of the Annie husband's role. Naturally and very tactically performed a character, through whose prism we perceive all the craziness of his wife. It is worth to mention also the role made by the young actor Alex Wolff, who took Peter's role. This is really a talented guy who was able to convey the fears of his character from a rather interesting angle. 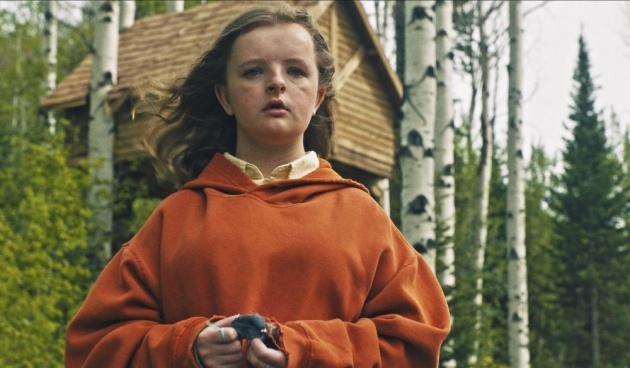 Milly Shapiro, who embodied Charlie, also did not disappoint, although it was her first appearance on a big screen. The constantly rising movie's tension gave the idea to the film production company A24 about an unusual experiment. With the smart Apple watches, it has been measured the pulse of 20 individual viewers who participated in the HEREDITARY premiere. The heart of a person standing in peace beats at a speed of 60-100 times per minute. Around the 30th minute of the movie, the audience blood pulse increased up to 130 beats. An hour after the start of the session, the pulse reached 150, and at the end of the film, the hearts of some of the participants in the experiment beat even 164 times per minute! It looks like if you're complaining about weak heart, you should consult the doctor before going to this movie. Many horror movies often only cause a laugh, while trying to frighten the spectators with cheap and old-fashioned tricks. 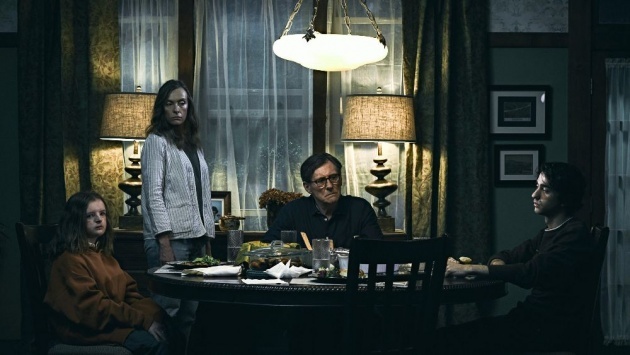 HEREDITARY has received excellent ratings from both critics and regular viewers. The reactions were so strong that the movie immediately found itself on one shelf with the most famous pieces of its genre. 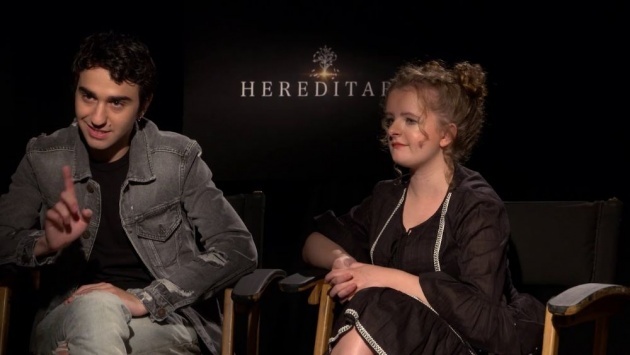 The first thing the scriptwriter and director Ari Aster felt after the HEREDITARY premiere was the relief that the viewers did not hate the film. 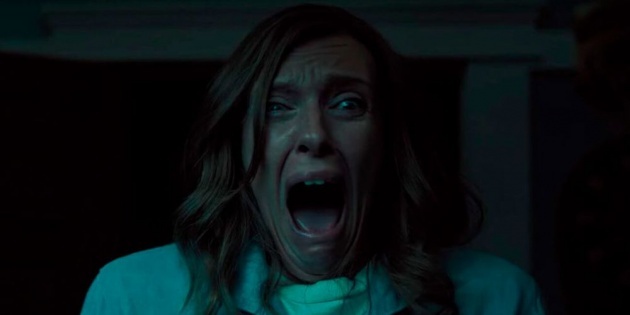 Already early in the morning, the headlines said that the film had returned the belief in the horror genre, that it was, in general, the most horrific horror movie over the long term, and its star Toni Collette should even be nominated for Oscar. Movie rating on Rotten Tomatoes is 98 percent. HEREDITARY is a strong psychological horror drama, which from the very beginning of the film gets you into tension by extraordinary decisions of the director and rise a horror up to the final titles, after which it's hard to find yourself where you are. In addition to the incredibly attractive and very frightful storytelling and its atypical presentation for the horror genre, we also receive a nice bonus - the performance of Toni Collette that is, in my eyes, is worth Oscar. Her performance puts this movie at a very high level. 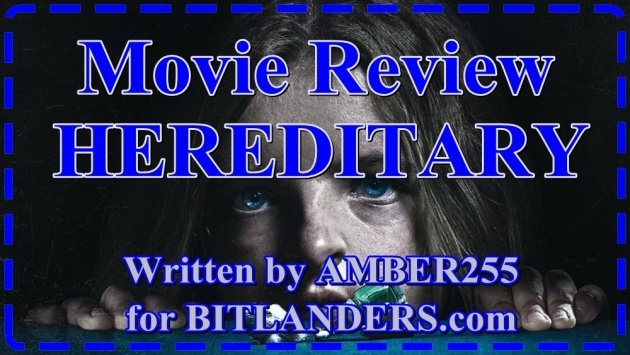 Thanks for reading my new movie review of the horror movie HEREDITARY. wow i really enjoyed your writing.. i wish i can make a similar story review..